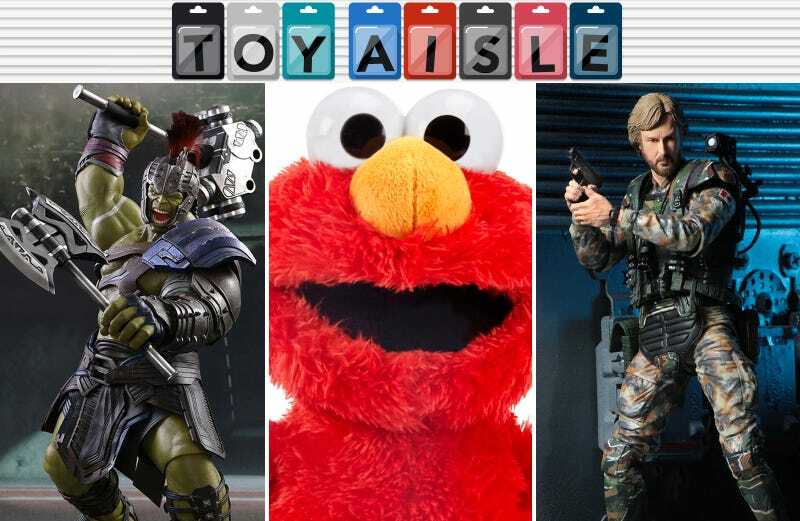 Second only to Toy Fair back in February, this past weekend’s San Diego Comic-Con brought us more toy news than our wallets can reasonably take. Many of the reveals were only available on the convention floor, but there will still plenty of announcements you can look forward to as we creep closer to the holidays. That’s right, July isn’t even over but it’s already time to start assembling those Christmas lists. Comic-Con brought us a few more details about Star Wars: The Last Jedi, including the official reveal of the new ship Kylo Ren will be piloting in the sequel, the First Order TIE Silencer. If you can’t wait until December to see it, however, Hot Wheels now has a $20 four-inch long die-cast replica of the ship showing off most of the ship’s details. It was supposedly only available at Mattel’s San Diego Comic-Con booth, but odds are you’ll also see it popping up on store shelves as we get closer to the film’s release later this year. Almost a year after Hot Wheels smart RC cars were introduced, Mattel is releasing its first new addition to the line with a $135 Mario Kart-themed starter set featuring Yoshi and Mario at the wheel of tiny RC go-karts. The set also includes Nintendo-themed reconfigurable racetrack pieces which the go-karts use to intelligently stay on the track, making it easier for younger kids to race. In addition to sounds and voices borrowed from the popular video game franchise, racing hazards like banana peels and turtle shells are recreated if you feel like being a jerk to your opponents. 21 years ago Hasbro’s Tickle Me Elmo was released and became as sought after as the Cabbage Patch Kids dolls were in the early ‘80s. So it was inevitable that Hasbro would eventually try to make lightning strike twice, and this fall you’ll be able to buy the giggling, laughing Elmo toy once again. Powered by a pair of AA batteries, the new $30 Elmo is smaller than the original, thanks to a couple decades of electronics shrinkage, but the idea is basically the same. A pair of touch sensors cause the toy to first giggle when tickled, and then laugh uncontrollably with that distinctive perpetual toddler voice. But now that we have online shopping, hopefully there won’t be any in-store fights breaking out over this version.